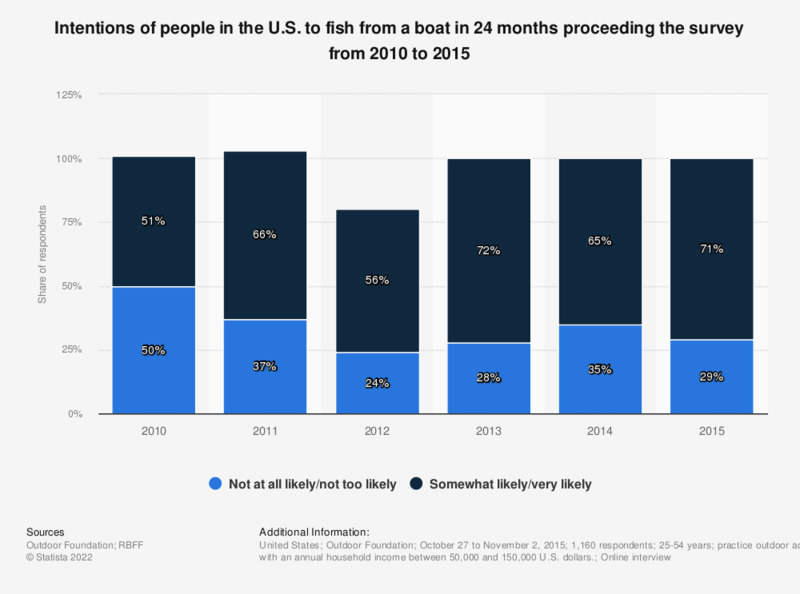 The statistic shows the share of people in the U.S. by their likeliness to go fishing from a boat in the 24 months proceeding the survey from 2010 to 2015. During the 2014 survey, 65 percent of respondents indicated they were somewhat or very likely to fish from a boat in the next 24 months. practice outdoor activities at least once per year; with an annual household income between 50,000 and 150,000 U.S. dollars. The gender ratio of the participants was 70 percent males and 30 percent females.